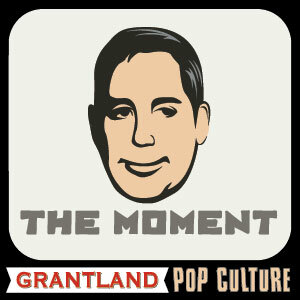 Filmmaker and Grantland contributor Brian Koppelman talks to people from the worlds of entertainment and sports about their lives and careers. Each show will focus on a pivotal moment in the interviewee's life. This podcast is part of Grantland, a sports and pop culture website founded by Bill Simmons and owned by ESPN. David Levien, Brian's filmmaking partner and author of 'Signature Kill,' on how grit beats talent in fighting and writing. Edward Burns, writer and filmmaker, on finding his creative voice, making compromises as an artist, and handling rejection like Kobe Bryant. James Altucher, entrepreneur, author, and host of 'The James Altucher Show,' on striking it rich, going bust, and the daily practices he integrates into his life to do what he loves. Keith Robinson, a linchpin in the New York comedy scene, on taking young comics under his wing and his first hour-long special on Comedy Central. Big Jay Oakerson on the comedy high-wire act he does every night and the dark days that sometimes follow. Ivan Orkin, owner and founder of Ivan Ramen, talks about the formative experiences in his journey to being one of the top chefs in the world. Jason Isbell, award-winning singer/songwriter, ex-member of Drive-By Truckers, on finally living up to his potential. Rob Morrow, star of 'Quiz Show,' 'Numb3rs,' and 'Northern Exposure,' on how deep he needs to go for his art. Former 'SNL' star Bill Hader on what his real dream is, why movies matter, and how anxiety drives his creativity. Amy Schumer, groundbreaking comedian, on what she loves and hates about her life right now. Russell Peters, world-renowned comedian, on what it feels like to be on the outside looking in despite all of his success. Danny Strong, Emmy award-winning screenwriter and actor, talks about redefining himself by chasing his creative curiosity. Jessi Klein, executive producer and writer of 'Inside Amy Schumer,' discusses the long road to comedy success. Dave Ramsey, one of the most successful radio hosts on earth, on how he turned his life around. And how we all can. Lydia Loveless, country-music rebel and songwriter extraordinaire, on why she writes 'em so close to the bone. Vanessa Selbst, the winningest female poker player in history, on reading people, making good decisions at the table, and why poker matters. Killer Mike, one half of Run The Jewels, on his duty as an artist to take risks, creatively and as a leader. Cary Elwes, star of 'The Princess Bride' on what it feels like to be a part of cinema history. Phil Hellmuth, the most famous poker player in the world, on why winning all those WSOP bracelets is still important to him and why he has become a people person. Marcus Lemonis, star of CNBC hit show 'The Profit,' on his secrets to making good decisions and why it's easier for him to give than to receive. Tony Gilroy, writer/director of 'Michael Clayton' and the 'Bourne' movies, on why and how he does his thing. Alex Blumberg, "Planet Money" cofounder, former producer at "This American Life," and current host of the podcast StartUp, on managing the fear of chasing your dreams. Seth Godin - thought leader, Internet guru, best-selling author - on how he found his mission. Eddie Trunk, host of 'That Metal Show,' on why rock and roll still matters so much to him, and the pros and cons of living out your high school dream life. Lawrence Block, author of 'A Walk Among The Tombstones' and other classic crime novels, talks about the grit required to succeed at writing, running, and distance walking.